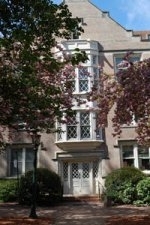 To contact the members of our faculty, please use phone/mailing address for their home departments. 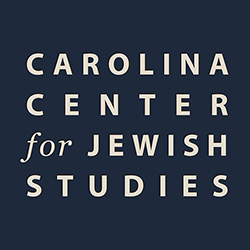 The Carolina Center for Jewish Studies is located in Pettigrew Hall, Suite 100, near Franklin Street, Chapel Hill, North Carolina. 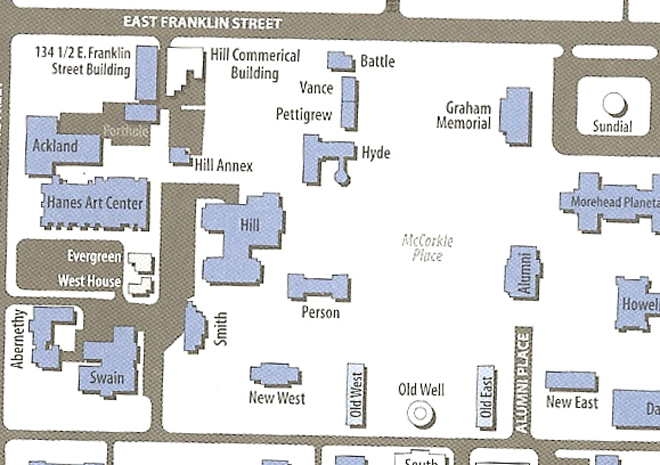 Pettigrew is between Battle/Vance Hall and Hyde Hall [shown at top/center in the map below]. 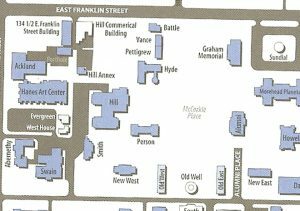 Visitor parking is available at the Morehead Planetarium parking lot and at street meters located on Franklin Street. Additional nearby lots for visitor parking include several city lots off Rosemary Street. From Raleigh Take exit 270 (HWY 15-501) towards Chapel Hill. Take a left off of the exit to turn onto 15-501. After 1.5 miles, the road forks. Stay to the right to take Franklin Street. Continue about 2.5 miles. From Pittsboro Take 15-501 North into Chapel Hill. After crossing over Fordham Blvd. (otherwise known as the 54/15-501 bypass) the road becomes Columbia Street. Proceed for 1.5 miles (7 stoplights). Turn right at Franklin Street, which will be the eighth traffic light. From Durham Take I-85 South to 15-501 South. Continue 1.6 miles past the I-40 interchange and take the Franklin Street exit, which veers to the right (note street signs for Morehead Planetarium and Franklin Street). Proceed on Franklin Street for about 2.5 miles. From Greensboro or Winston-Salem Take I-40 East (watch for the separation of I-85 and I-40 just east of Efland) to exit 266 for Highway 86. Turn right onto Highway 86, which becomes Airport Road. Stay on Airport Road 4.1 miles to the Franklin Street traffic light. Turn left onto Franklin Street.